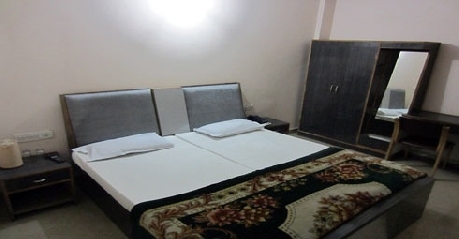 Situated in the heart of Alwar district, Rajasthan, this budget hotel is the best in its class. 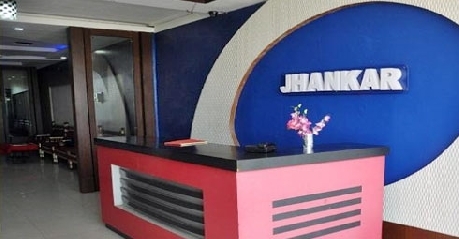 Carving a name for itself in warm hospitality and comfortable accommodation, Hotel Jhankar offers modern amenities and prompt services. With unrivalled services of the travel desk and concierge services, on-site restaurants offering traditional mouth watering delicacies and rooms well decorated to provide a feel of the traditional Rajasthan, the hotel is a popular place of stay for the discerning business and leisure travelers. These rooms are naturally air conditioned and are designed to provide space and room to the guests to move around comfortable. Well decorated in traditional hues of Rajasthan, the rooms provide a comfortable king sized bed with a color television with satellite channels, a telephone with impeccable room services. The en-suite bathroom is well fitted with modern fittings and has hot and cold running water. These fully air conditioned rooms provide the ultimate comfort to the guests with a king sized bed, a telephone with impeccable room services and a color television with satellite channels. The décor of the room suits the standards of its discerning guests while the en-suite bathroom provides 24 hours of running hot and cold water. The rooms at Jhankar Hotel Alwar have rich, warm, cozy, elegant and pleasing interiors. All the rooms are tastefully designed. All the rooms are air-conditioned with the luxuries of large screen pure flat televisions with satellite channels and a modern private bath. You will get running hot and cold water all round the clock. The multi cuisine Restaurant offers sumptuous Indian, Mughlai, Marwari and Rajasthani dishes. Food is believed to one of the primary attractions in the hotel.